Are you a newbie in upwork & want to work as a Virtual Assistant? Or is that you are not getting enough response from your client? Then definitely you need to improve your profile overview as a Virtual Assistant. You know what when you are representing yourself as a perfect Virtual Assistant it is essential to trap your client with your overview. Your overview is the most important part of your profile that your client takes into account seriously. 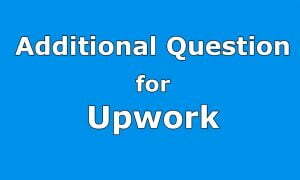 So, remain with us to know how to write a marvelous upwork overview as a Virtual Assistant to impress your client. Oh, it’s really very easy to create an impressive overview as a Virtual Assistant. You’ll just have to simply follow the steps pointed below. First Impression is the Last Impression: It’s a common and wise saying that your first impression is your last impression. So, use the technique here also. Impress your client with your first speech. Show your client how you are the best Virtual Assistant for him in your first line. Be Professional: Make your client believe that you are a professional Virtual Assistant through your professional speech. Remember that you cannot use any salutation here. Overview is simply a speech of yours about your skill. You are not addressing anybody here. So avoid any kind of salutation like- Dear sir, hi, hello or any wish like good day etc. Use your own speech: Nobody likes a copied element when you are required to describe yourself. Simply use your own speech with all the true and honest information to win your client’s trust. Represent yourself as a virtual Assistant only: You need not introduce your additional irrelevant skills in your overview. Rather focus on your skill as a virtual assistant only. It will make your client believe that you are really expert on that only are. Make Your Overview Succinct: Really, nobody likes a long and boring piece of writing. In fact seeing your long overview your client will simply avoid you to get escape of reading through it. So, the wise step is to make a succinct and to the point overview not being roundabout. Answer Why You Should be Chosen: It is very important to convince your client why you should be chosen among so many Virtual Assistant available for the job. Try to answer it in your overview why your client should select you. Revise and Correction: You cannot make any mistake in your overview. So, revise your overview after finishing it and correct all the errors you have done. Try to improve your speech to give it more strength. I am a proficient, self- motivated Virtual Assistant with excellent skill and successful experience of six years. I have a great knowledge of virtual features as I have done a research on it along with my education on Virtual Science. I have been working with a famous Multi- International Company as a Virtual Assistant for five years and currently I have an established website of my own. I have a great passion for working as a Virtual Assistant and I always remain alert to learn all the newest and updated materials. I give my best to improve my skill and my work. Besides, I have a strong communicative and convincing skill to deal with any kind of consumers. To add more I have arranged a fully personal room furnished with all kinds of virtual purpose elements like a professional computer, a strong internet connection, land phone, fax, printer and so on to ensure my 24 hours availability to the customers which is very important for a Virtual Assistant.